When I was a young graduate student I attended a nerdy conference in Copenhagen, Denmark. I was delivering my first small research paper of my PhD and was speaking in a session on medical image analysis for clinical oncology (a workshop of MICCAI). I was the second speaker and when I arrived there was a computer up at the front of the room on the podium. I assumed that it was the computer available to all session speakers and walked right up to it and inserted my USB key. It turns out that it was the computer of Sir Michael Brady, one of the leading researchers in the field, who also was the first speaker and was nearby. 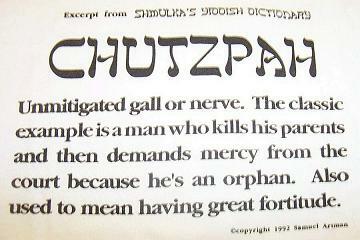 He turned and said "That kid's got chutzpah!" 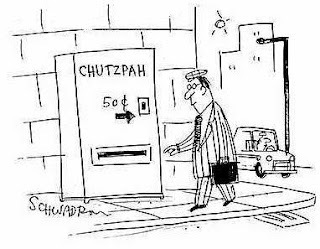 Scientists don't tend to be the most flamboyant types - I suspect it takes less to convince a typical scientist that you have chutzpah than it does to convince the average person. 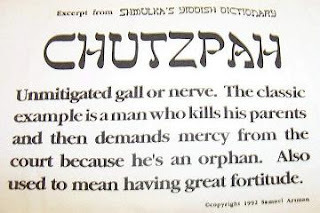 However, to be fair to Sir Brady I can think of a number of amusing "chutzpah moments" of mine, so perhaps he was just being perceptive. Sir Michael Brady runs one of the world's most succesful research labs in this field at Oxford University. In fact, Sir Michael Brady earned his knighthood for a particularly impressive reason: because so many technologies developed in his lab have become commercialized products. Typically, without technologies making the leap to commercialized products they can only have very limited impact.